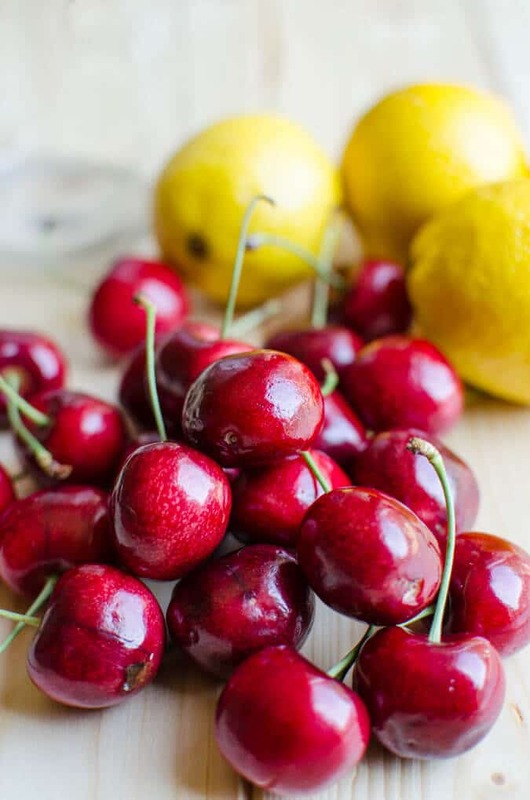 Cherry lemonade is an amazing combination of fresh cherries and lemons. 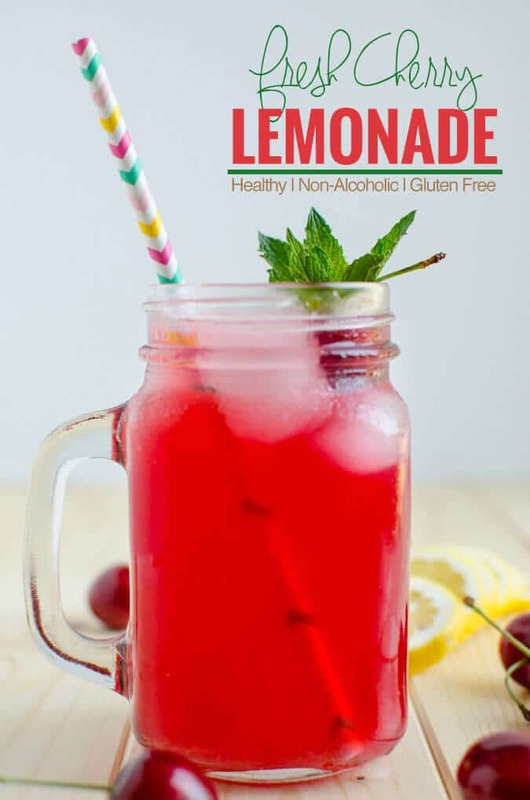 It is healthy and refreshing–a naturally sweetened lemonade for guilt free drinks. 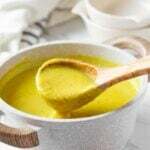 Want relief in hot sunny days? Then make this perfect lemonade at home and stay hydrated. 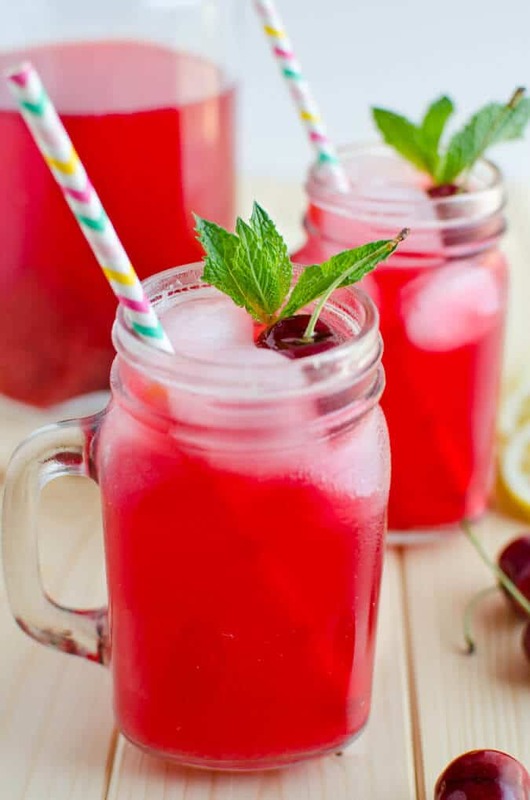 This cherry lemonade recipe is perfect to enjoy seasonal fresh cherries. I really love fresh cherries. And, the thought of making lemonade from it made me excited. This is my third version of making lemonade at home. The first one I made was the basic old fashioned lemonade. 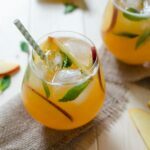 If you are making basic lemonade at home then it is not difficult to flavor it with any fruit, for example this peach lemonade. How this cherry lemonade is healthy? 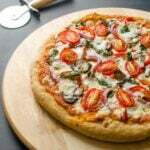 It is made using fresh cherries. Dark red cherries are high in dietary fibers and vitamin C. These are also natural source of antioxidant flavonoids and anthocyanin (1). Fresh lemons are rich in vitamin C. Lemons are also natural source of numerous phytochemicals. It does not contain added white sugar. Drink this amazing combination of fresh cherries and lemons. It is healthy and refreshing--a naturally sweetened lemonade for guilt free drinks. In a small saucepan add pitted cherries, 1/4 cup water, agave and lemon zest. Bring mixture to boil on medium heat. Simmer it for 4-5 min or until cherries are tender. Once cooked turn off the heat and cool it for few minutes. Using a strainer, strain the syrup to remove coarse cherry particles. If you like pulpy lemonade with coarse cherry pieces, then no need to strain the syrup. 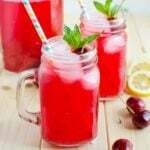 In a pitcher add strained cherry sugar syrup, lemon juice and water. 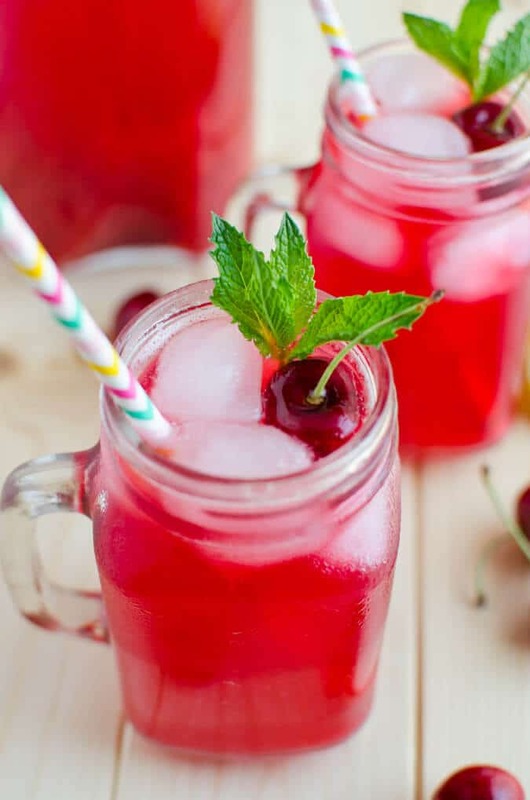 Serve on few ice cubes to enjoy this freshly prepared cherry lemonade. Optionally, garnish with fresh cherry and mint spring. Oh yum! I just love the fact that this lemonade is healthy! This sounds delicious and healthy! I love that you created a less “sugary” cherry lemonade. 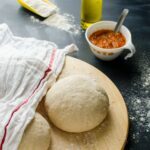 =) I can’t wait to try this recipe. Thanks!